Dr. Terrence G. Wiley is President of the Center for Applied Linguistics in Washington, DC, and he serves as Special Professor, Department of Teaching and Learning, Policy and Leadership and Graduate School, University of Maryland, College Park, MD. He is also Professor Emeritus at Arizona State University, where he served as Executive Dean of the Mary Lou Fulton Institute and Graduate School of Education and Director of the Division of Educational Leadership & Policy Studies. He has also been serving as a Visiting Professor in the School of Foreign Languages for Renmin (Peoples’) University of China’s International Programs. Professor Wiley’s teaching and research have focused on educational and applied linguistics, concentrating on educational language policies; language diversity and immigrant integration; teaching English as a second and international language; bilingualism, literacy and biliteracy studies; and bilingual, heritage and community language education. He received his Ph.D. from the University of Southern California in Education with an emphasis in Linguistics, has two Master’s degrees, in Linguistics and Asian Studies, and a B.A. in History. He has won numerous awards for scholarship, teaching, and service. 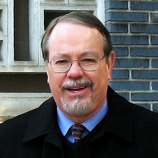 Professor Wiley’s scholarly articles and reviews have appeared in the Modern Language Journal, the TESOL Quarterly, Language in Society, the International Journal of Sociology of Language, Critical Inquiry in Language Studies, the International Journal of Bilingual Education and Bilingualism, the Bilingual Research Journal, Educational Policy, and Teachers College Record. Professor Wiley’s research collaborations have included projects with UCLA’s National Heritage Language Resource Center; ASU’s Confucius Institute in partnership with Sichuan University; and UCLA’s Civil Rights Project, and he serves as Fellow with the National Education Policy Center at the University of Colorado, Boulder. In addition to his work in China, Professor Wiley and has done visiting professorships and lectured at universities in Africa, East and South Asia, Europe and the UK, North, South, and Central America, Australia, and New Zealand. He is also organizer of the international Language Policy Research Network of AILA (Association Internationale de la Linguistique Appliquée). Professor Wiley is the 2014 recipient of the American Association for Applied Linguistics (AAAL) Distinguished Scholarship and Service Award.